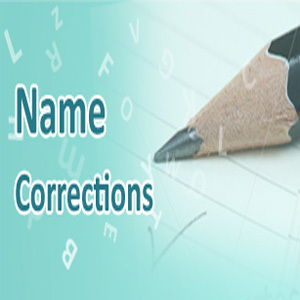 NAMES CORRECTION : Do you know if the number associated with your name is favorable to you? Do you know your name has a lot to do with your successes and failures in life? If numerologists are to be believed, our profession, our personal life and almost each and every aspect of our life depend on our name. This is the reason sometimes a small spelling change suggested by the numerologists brings favourable changes to the lives of people. Numerology Experts, believe that name correction is nothing but a minor subtraction or addition of a letter, or usage or removal of middle name, and so on. This correction could help people lead a happy and problem-free life. However, a drastic change in the name is never advised. So get to know what your name can do for you?